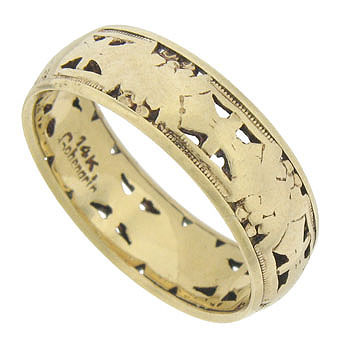 This elegant 14K yellow gold antique wedding band is decorated with abstract organic cutwork, intricate engraving and distinctive milgrain. Simple polished bands frame the floral design. 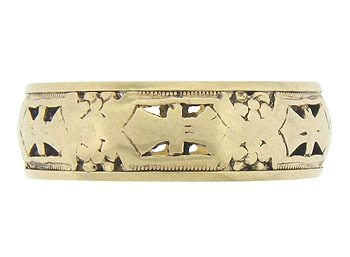 The Art Deco wedding ring measures 6.84 mm in width. Circa: 1920. Size 7 3/4. We cannot re-size.